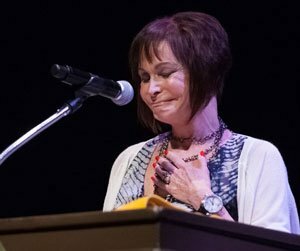 It is with hearts full of Love and Gratitude that the University of Santa Monica thanks our cherished volunteers. Each year, hundreds of USM graduates step forward to serve the University with generous gifts of their time and talents. Many of these dedicated volunteers have been serving for 20 years or more! Our beloved volunteer community is such an integral part of USM’s offering Soul-Centered Education. These volunteer angels serve with excellence in a wealth of roles, lending their unique gifts, talents, and abilities to support USM’s students, faculty, staff, and community. Some of these include classroom Assistants, Readers, and our beloved Office Angels, who perform a wide variety of essential activities. Each volunteer has given a high level of commitment and many hours of Loving Service. These exceptional Souls take time out of their busy lives to share their Light, Loving, and Wisdom with the classes of students who are participating in the University’s Programs. As they do each year, Drs. 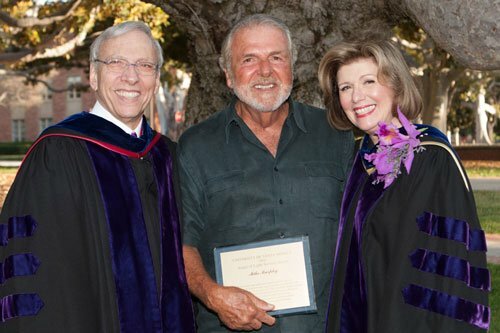 H. Ronald and Mary R. Hulnick, on behalf of all the University of Santa Monica faculty and staff, awarded two plaques to honor the 2016 Angels of the Year—two outstanding volunteers who have made exceptional contributions to the University’s mission through their demonstration of the Service Consciousness. 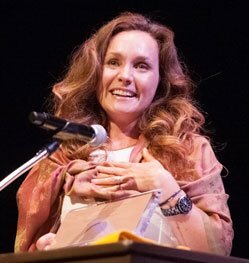 These individuals have given at least five years of service at USM and are recognized for exemplifying the Principles and Practices of Spiritual Psychology, inspiring all who come in contact with them, both at the University and in their everyday lives. Your many years of devoted service and joyful dedication are an inspiration to all those around you. Through your Loving Heart, you have generously given of your time and gifts in support of so many in the process of their Awakening. You are God’s scribe, and through you pours Spirit’s Wisdom and Humor. We love, honor, and appreciate you. Your Attunement, Inspired Creativity, and tender Heart are hallmarks of your Service. Your Loving is expressed through Divine Nurturance and Generosity of Spirit. You are a Joyful Presence. The Beauty you create wherever you go is a reflection of the Radiant Beauty of your Soul. With deep Appreciation, Gratitude, and Loving, we acknowledge you and we bless you. Every now and again an Angel appears, and all who come in contact with such a being are truly blessed. Through your years of Service at USM, you have demonstrated time and time again exceptional experiential Wisdom coupled with a Consciousness of Loving. The value of your perspective is immeasurable. You have our infinite Love and Gratitude. 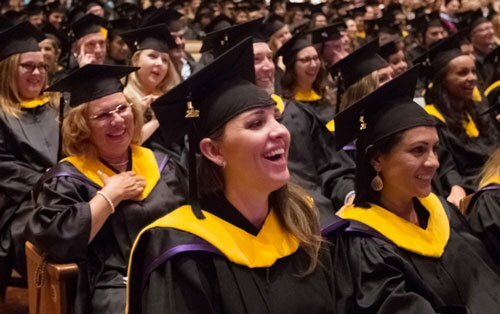 As USM’s mission continues to touch more lives, assist more people, and offer the transformational work that is only possible with the support of so many, each graduate has the opportunity to become part of an even bigger USM community. Volunteering at USM is a way to give back as well as receive. If you feel called to support the University by being of Service, we welcome you! Learn more by visiting our Web site by calling Volunteer Resources Director Mary-Kate Proietta at (310) 829-7402, or by e-mailing mary-kate.proietta@universityofsantamonica.edu. Blessings of Loving and Gratitude to all of USM’s incredible Volunteers. It is an honor to work with each of you. We love and appreciate you!